How Much Protein Should Hockey Players Be Eating? One of the most popular topics in sports science nutrition is without a doubt, protein intake. Athletes from all walks of life understand the importance of protein in the diet, but in most cases, they don’t know exactly why protein is important and how exactly they should be consuming it on a day-to-day basis. The fact of the matter is that the most important information you will read today was actually in the title. In that, how much protein you have throughout the entire day is the most important component towards your protein intake, and when you have it is a detail in comparison to the importance of total intake. How much protein should I have in a whole day? Short answer here is 0.8-1g per pound of bodyweight everyday, whether it’s a training day or not. The reason for the range in recommendation is due to body fat percentage, overweight people do not need as much protein as lean individuals. This intake is more than enough to suffice maximum muscle growth during a lean mass phase. It is also an appropriate amount to take during a cutting phase to ensure minimal loss of lean mass. For example, if you are 200lbs and 30% body fat, you do not need as much protein as a 200lbs individual at 10% body fat due to the fact that he has a greater amount of lean tissue to support than you do. For simplicities sake, if you’re over 20% body fat it’s best to stay in the 0.8-0.9g per pound of body weight zone. But if you’re less than that, you can move up to 1g per pound of body weight. We have seen in the literature an untold amount of times now that the total amount of protein is the most important factor by a long shot, so if you’re only going to do one thing in this entire article, make it this one. When should I have my protein? When it comes to protein timing, an even distribution throughout the day is the most important strategy you could ever use. We do this to protect ourselves from what is known as the Fractional Breakdown Rate (FBR), and we also do this to support what is known as the Fractional Synthetic Rate (FSR). You see, the body is constantly breaking itself down and rebuilding itself again. Meaning, your muscles are breaking down and repairing themselves every single day, whether you train or not. This is known as Protein Turnover. The FBR measures the rate at which you are losing body protein (catabolism), whereas the FSR measures the rate at which you are adding protein to the body (anabolism). Because muscle growth doesn’t occur solely within the few hours post-workout. Muscle growth is a 24 hour a day process and depending on the volume and intensity of your last workout, you could be feeding your muscle tissue with amino acids for the purpose of growth for up to 4 days. And since the actual process of training is catabolic (gotta break tissue down to send the signals for it to build back up stronger), you now have both the FBR and FSR running at the same time, 24hrs a day. So if we go an extended period of time without a meal, the FBR will exceed the FSR and you will lose lean body mass. This is also why post-workout only protein doesn’t mean anything to me. If muscle building only occurred post-workout, then concentrating only on the post-workout period would be a smart thing to do. 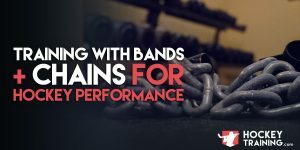 But the research tells us FBR and FSR rates are active for up to 4 days after a workout, meaning you need protein throughout the entire day, not just post-workout. The muscle growth process operates 24 hours a day and is amino acid driven so the best strategy you can adopt is to supply your body with amino acids for as much of the day as you possibly can to support the FSR and fight the FBR. You would be the man who made much better gains in the long run. How much protein should I have at each sitting? You might think this wouldn’t matter, but it does. There is such a thing known as Protein Synthesis. Synthesis simply means growth, so in laymen’s terms, adding protein to the body (muscle growth). To do this though, we need to reach the Leucine Threshold at each meal. Without this, we won’t be creating the stimulus for protein synthesis. Leucine is an amino acid found in protein that is very well known as the king muscle-building amino acid. It gets this reputation through research demonstrating that leucine even in isolation (not including any other amino acids from protein) stimulates protein synthesis, whereas other amino acids either don’t do this at all or do it much less effective. Leucine does this through stimulation of a pathway known as mTOR, which basically sets off an intracellular signaling cascade to tell the body “let’s grow some muscle”. What we know from research though is that there is something that is known as the “leucine threshold”, where in order to stimulate mTOR and protein synthesis you need to have a certain amount of leucine content within the meal and/or supplement that you’re taking. Luckily for us, if you follow any of the recommendations I gave above on protein intake and consume an animal protein source at each meal, you will be able to cross this threshold relatively easily. In fact, adding leucine supplementation or BCAA supplementation to already protein-rich meals has been shown useless both in the short term and long term research on a variety of levels including strength, muscle building, and fat loss. More is not better here. As a minimum, the world leader on protein research Stu Phillips recommends you should be seeking 0.3g/kg of body weight of protein per meal, and that this meal contains a complete amino acid profile (just eat an animal source to keep things simple). As an example, the average 200lbs male would successfully be achieving leucine threshold content and stimulating protein synthesis with 27g of high-quality protein per meal. Having more than this is not a bad thing whatsoever, in fact, it can be positive because what is not used to stimulate the FSR is still used to fight the FBR. The only time in which I would perhaps recommend additional amino acid supplementation on top of a meal is if the meal contains poor, plant protein sources. To throw a target figure out for you that would be 100% safe and effective to elevate muscle protein synthesis at each sitting, you’re ideally looking for 3g leucine per meal. It should also be noted that the older populations (beginning at the age of 40+) likely require a greater amount of protein per meal in order to stimulate protein synthesis as effective as their younger counterparts. This is due to what is known as Anabolic Resistance and is a very complicated topic that goes out of the scope of today’s post. But, in application, it is very simple. The resultant equation for the older population would need to reach 0.4g/kg of bodyweight, everything else is still the exact same. What kind of protein should I be having? Whole foods of course representing whole food sources such as fish, chicken, steak and cottage cheese. Whereas supplement sources representing whey, casein, plant powders, and soy protein. To complicate things, some proteins are better used by the body than others. For example, animal proteins typically have a 90-95% efficiency whereas vegetable protein sources fall slightly below that at 80-85% efficiency. Additionally, animal protein sources have a far superior amino acid profile than plant protein sources for muscle growth, fat loss, and recovery. To determine the quality of proteins, many different ratings and scales have been created in the past, such as Biological Value, Chemical Score, Net Protein Utilization, and the Protein Digestibility Corrected Amino Acid Score. None of these are very important for you to know about, leave those for guys like me who love to nerd out on this stuff. I’ll tell you the easy application once I get out of my cave, I mean office. What I can tell you though is that it can be made simple. Your best choices are meat, dairy products, and eggs. I want to make note that when I say meat, I don’t just mean red meat. I am referring to all chicken, fish, red meat, wild game, pork, buffalo, etc. In second place are plant sources such as legumes, nuts, and high protein vegetables like peas, broccoli, and spinach. Although it’s wise to get a premium source of protein at each meal, research has demonstrated that it really doesn’t matter much so long as you’re getting an adequate intake in per day. Meaning, if you’re getting in 1g per pound of bodyweight of protein per day, the sources in where you get that protein from becoming less and less important the more and more of it you eat. There is a very low probability that you will be lacking any amino acids at that kind of intake, that is unless your diet is really messed up. Where protein quality sources matter the most is in diets where protein is inadequate, such as in suffering and/or starving countries. Giving them a high-quality protein source does fantastic things for their health, but for the 200lbs athlete already eating 200g of protein per day, not so much of a big deal. Supplements, on the other hand, have their own unique benefits. One of the big advantages that a protein powder shake offers is convenience. So, while it’s always better to get your protein from healthy food, consuming protein powder during and post workout is perfectly fine and even preferred due to its quick absorption rate. Also, making your last meal of the day a casein protein powder shake is also perfectly fine. Casein protein powder absorbs slower into your bloodstream than whey protein powder. Casein can take as long as seven hours for complete absorption. If you take it before bedtime, it gives you a steady flow of amino acids during your sleep to continue to fight the FBR and feeding the FSR. Another time to use casein protein powder is when you know you are not going to be eating again for at least five hours. A general rule to follow for powder protein is that if you’re going to use protein powder to replace a regular meal (excluding your intra-workout and post-workout whey protein shake as these should be whey isolate only) your best option is a 50/50 split between whey and casein protein powder. I hope today’s blog post was able to clear up some myths for you and provide plenty of actionable items that you can use today to start optimizing your protein intake and optimizing your hockey performance. Eat right and train hard. 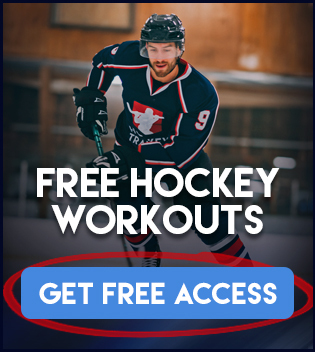 If you’re ready to take your hockey game to an all new level make sure you check out our catalog of Hockey Training Programs! Hey Mich, myfitnesspal seems to be the most user-friendly, although it’s not without its issues.